Recently, one of my gaming buddies stepped up and decided to run a GURPS Fantasy game. I decided to play a monk so that I could make use of the fantastic 4th Edition GURPS Martial Arts rules. I give you…Brother Jerrod! 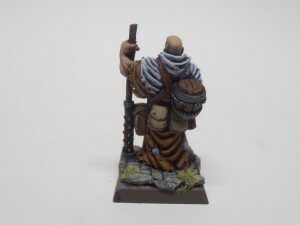 The miniature is Reaper’s Friar Stone, Travelling Monk (03205), sculpted by Tre Manor. 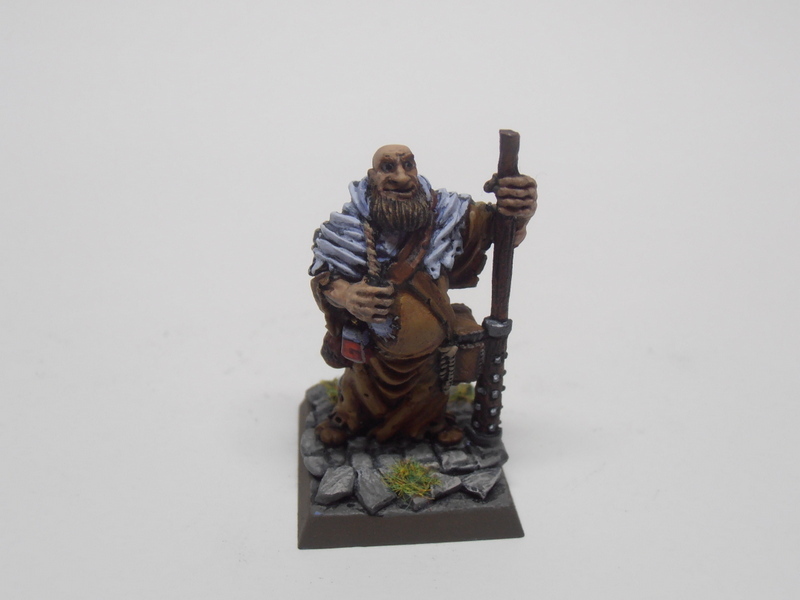 I bought and painted the miniature long before my friend decided to run this game, but once he did, I immediately wanted to use this miniature for my character. Brother Jerrod is a blast to play. He’s a jovial, garrulous fellow with a voice like Brian Blessed after drinking a quart of scotch. I created his unique martial arts style to compliment his constant state of drunkenness. In fact, more than once I was fully committed to my roleplaying and got more than a little drunk myself. Although I went into great detail creating his fighting style and giving amusing names to his maneuvers (Tip the Jug, Bear Stuns the Trout, etc. ), I left the details of his religious order intentionally vague. 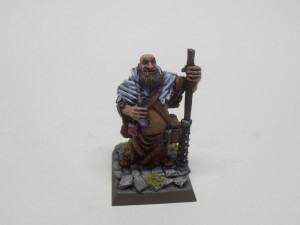 It wasn’t going to be a big part of the game, and Brother Jerrod probably doesn’t remember much of his order’s precepts anyway. He’s too busy getting (and staying) drunk to care.